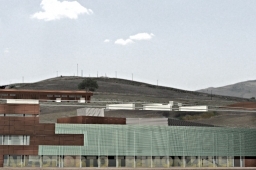 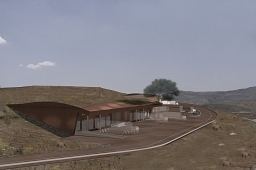 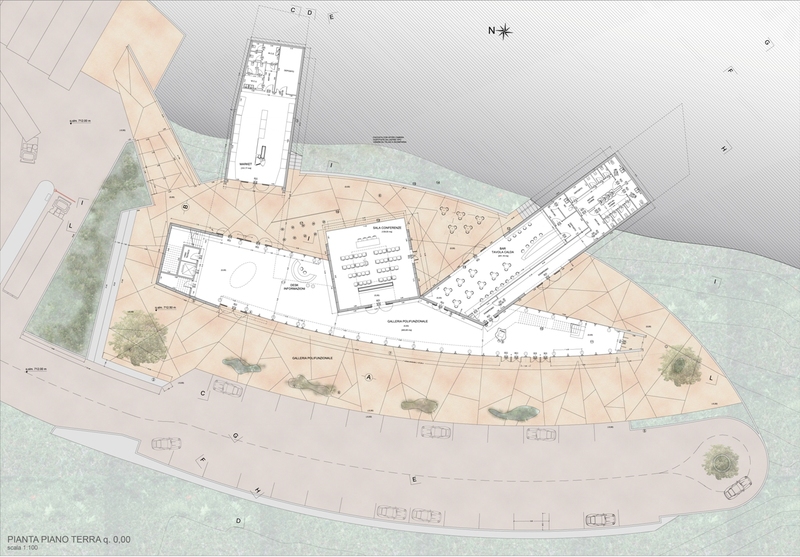 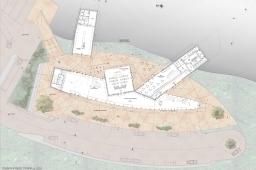 The design choice involves the insertion of the new building in the context of pre-existing environment, reconfiguring the hill, reconstructing the landscape, with architectures that do not seek a mimesis between artifice and nature, but rather enter in symbiosis and in harmony with the landscape itself. 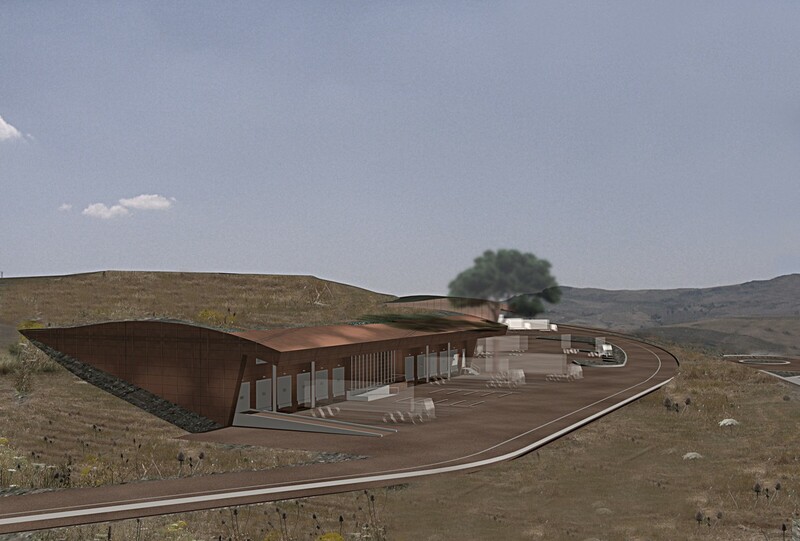 The service center appears as traslation and petrification of the last contour of the hill, called "Monzello". 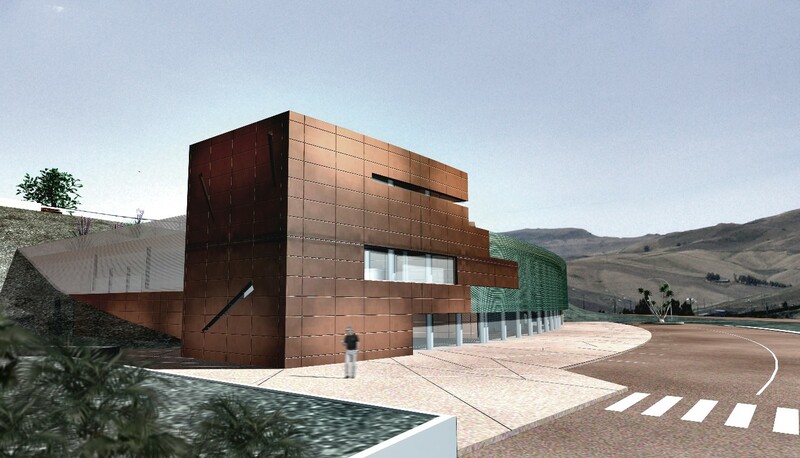 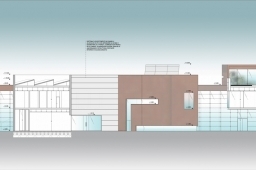 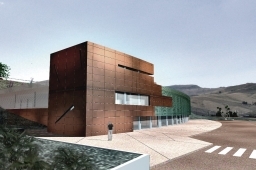 The building, with its copper skin and clear glass, symbolically embrace, with the two bodies sinking into the contours, the existing hill.